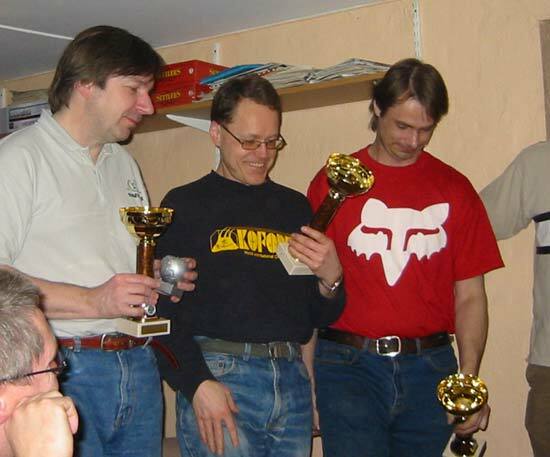 The motor club in Växjö, Växjö MS, was the host for the second round in the Sveslot Saloon series held the 26:th of March 2004. The track is a former eight lane mini-king which has been rebuilt to a 6-lane track. It brings back some memories for me. 1982. It was the second round in the G-7 European Championship held in Växjö. It was the year when Lars Blomqvist took the crown. I entered in this second round which was my first European Championship race. I reached the main and just before the start more than one Swedish racer told me (not asked) to back of in the start. That was some 22 year old history. It was a 32 driver strong field in Production 1/24 and there were drivers that had entered the other classes but not this so there were even more racers present. It was nice to see some of our Danish friends. This is a short story about the races (due to that it's written a week after the races) and full results can be seen at Sveslot's site. Links to results will be found at the end of this story. I apologize for the lack of information for the Junior races. The qualification in Production 1/24 went to Janne Ekman who with a time of 4,445 was more than a 1/10 of a second faster than second place who was a junior, Mikael Palmqvist who again showed quality, 4,547 and in third Mikael Gustavsson 4,563. When the semi-finals were driven Michael Landrud had been fastest with 144 laps. 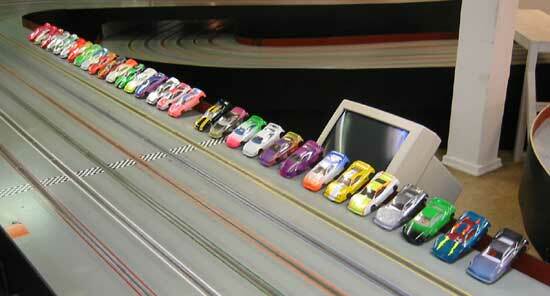 Last man to the main was Mats Hummel who drove 141 laps. Really, really close racing. In the main Janne Ekman was able to pull away slightly from the rest. Michael Landrud Anders Gustafson and Lasse Åberg were on the same or almost on the same lap for two-three heats. In the fifth heat Lasse was able to take back some of the distance that Janne had built up and in the last heat crashed into cars on the bridge and it was even. 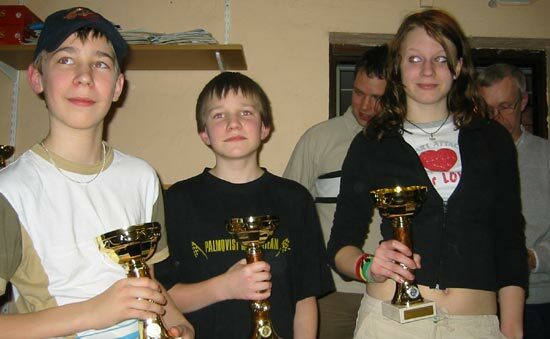 When the time was up Lasse had won in front of Janne Ekman and Michael Landrud. Landrud now tops after the two rounds.